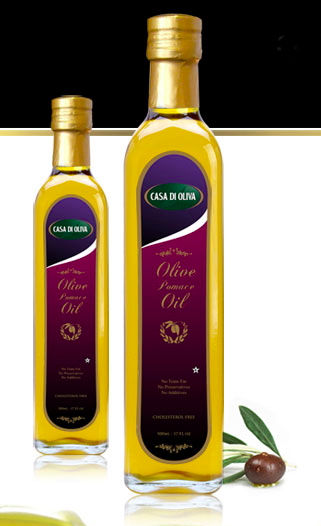 Olive Pomace oil is the remaining oil leftover from the pulp after the first pressing. This pulp will still have 2 – 4 % olive oil after the first pressing. After the second pressing and extraction of the remaining oil within this pulp, the extracted oil is refined and the refined Olive Pomace Oil is obtained. Our Pomace olive oil is basically a lower grade of olive oil, but still has 5% Extra Virgin Olive Oil in it.